The start of the " Te Kinga Track opened. June 2003 is only a few minutes away. Tramp 9 hours to the summit return or 3 hours return to the viewing deck. This walk and the track are World Class . 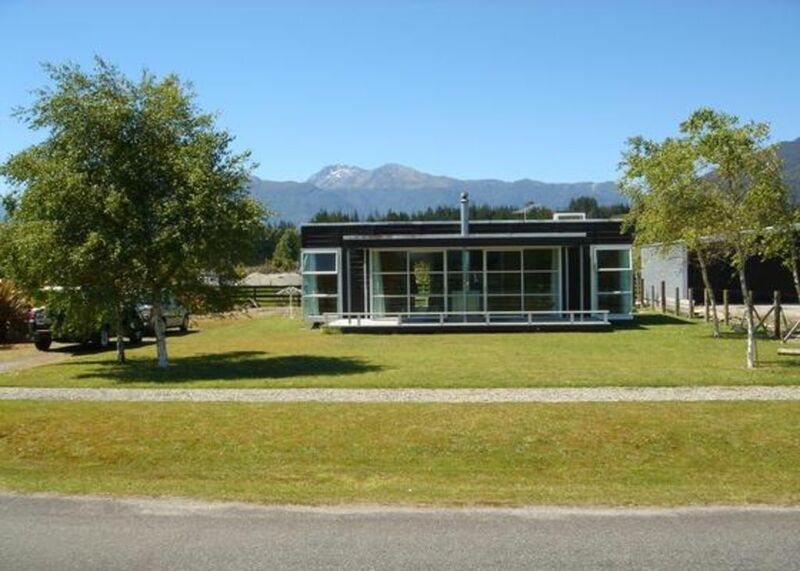 Just 2 Minutes walk to Cashmere Bay on Lake Brunner or the Crooked River , both World Class Water Ski ing and Trout Fishing locations with professional guides available locally or at Moana. Water Taxi also availible from Moana to Cashmere Bay if travelling by train. Half an hour to Skifields at Temple Basin . Greymouth only a half hour away and 1 hour to Punakaiki. Ideal for that short break. Also recommend mid week and mid winter to get the best of the settled weather and isolation. Only a small bach so not suitable for children . Adverse weather on the Coast will mean many days may be spent indoors so families would be better suited to a bigger home. Two Night Minimum Stay. KEYS only available to collect in person. Deposit of 33% is required for all bookings made in the High Season.Cleaner available on request. This is a family bach and is to be left in a clean and tidy condition. No smoking or Pets. Refundable deposit may be required pending satisfactory inspection after departure.No additional guests or Camping permitted without approval of the owners as a surcharge will be required. Backs on to Rural grazing property and Dairy Farm opposite. We loved this place. Such a fabulous space with everything you could need - great shower, well equipped kitchen etc etc. The lake down the road is beautiful and only a short walk. This area of the west coast is amazing. Totally recommend. The host is great and very helpful too. Great decks front and back for some serious social enjoyment after a day on the lake !